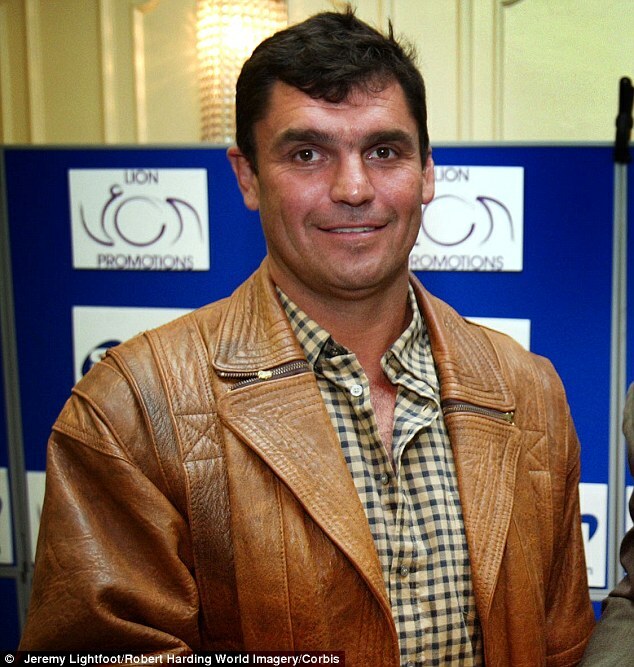 Former heavyweight boxing champion Corrie Sanders has died after he was shot during an armed robbery in his native South Africa. The 46-year-old was enjoying his nephew’s birthday celebrations in the town of Brits last night when the gunmen entered the restaurant. Mr Sanders, who stunned the boxing world in 2003 by taking the WBO title from Wladimir Klitschko, was rushed to Kalafong hospital but died in the early hours of this morning. North West Police Brigadier Thulani Ngubane said: ‘I can confirm Corrie and his family were celebrating his nephew’s birthday, turning 21, and enjoying a meal last night. ‘In the midst of the celebrations, at about 7.45pm in the evening, about three suspects came in. ‘They were planning to commit an armed robbery. ‘Then in the armed robbery they shot randomly. Corrie was shot in the hand and also the stomach. There have been no arrests in the case, he added, but stated police are ‘in hot pursuit’. Mr. Sanders shot to fame nine years ago after flooring his Ukranian opponent, Wladimir Klitschoko, twice in the opening round before the match was stopped in the second. He gave up the belt the following year to fight Wladimir’s older brother Vitali for the vacant WBC crown, but was defeated. Following that, Mr Sanders boxed just four more times before retiring in 2008.